In response to Pope Francis’ call for special regard for refugees in this Year of Mercy, Bishop Michael Barber, SJ, challenged each parish in our Oakland Diocese to “adopt” a family. St. Joseph Parish in Fremont along with two local motherhouses of Holy Family Sisters and Dominican Sisters attended the first informational meeting at Catholic Charities of the East Bay. Recognizing the need and hope of this project, a committee was formed for support of home items, transportation, housing and job search and of course financial donations. 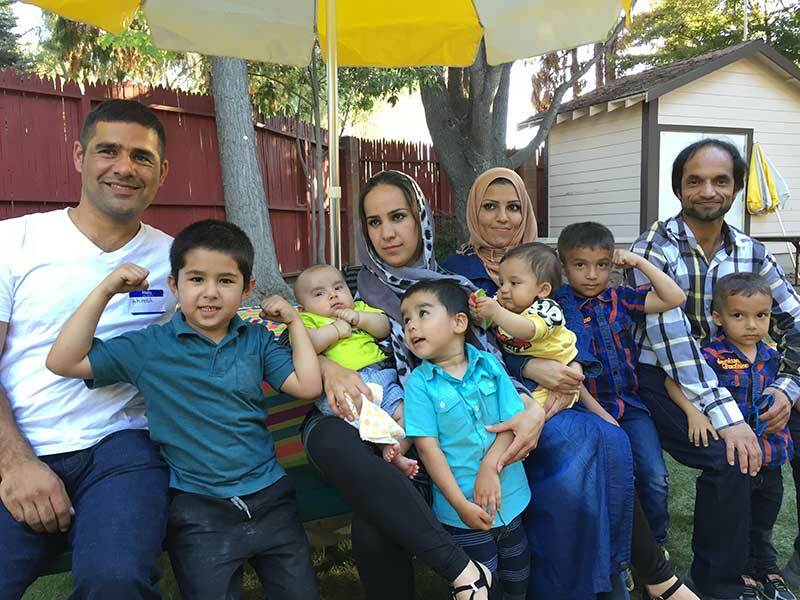 Not long after that beginning, we greeted our first Afghan family of parents and three young sons (6 months to 5 years old). Because affordable housing in the Bay Area is limited, the family was welcomed for the first month at the Dominican Sisters Motherhouse. The father had a friend who had worked with him in Afghanistan and new connections were also made for needs of their family with 3 young sons. Now in the first six months housing, job, car and some stability was established. Our neighboring Holy Spirit Parish was just considering their commitment when a call from Catholic Charities asked if they could sponsor a family arriving in two days. The request to again temporarily house a refugee family at the Dominican Sisters was whole-heartedly accepted. Fremont, an ethnically diverse city, has a large Muslim population. Dominican Sisters have opened gathering space for weekly Friday prayer during the renovation of their Islamic Center mosque. Our neighbors and new connections are a special treasure and blessing in our expanding relationships. Barbecue with the first two Afghan families.